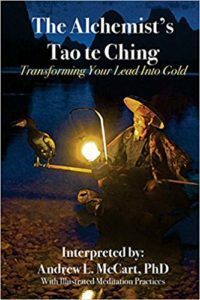 This text provides the reader with a fresh approach to the Tao Te Ching, focusing on Leadership, interpersonal relationships, and of course, how to find peace in modern, everyday life. To accompany the 81 verses of the Tao Te Ching, Andrew included 81 practices from a path of Taoist Internal Alchemy. These practices are accompanied by 81 haiku writings, describing the practices in simple terms. Each practice is illustrated in photographs that take the reader from the navel to the edge of the galaxy and back again in a process of embodying nature’s spiritual forces in the human body. Enjoy the journey! $5.7 Trillion is the projected amount the United States will spend on healthcare in 2026, according to the Centers for Medicare and Medicaid Services. Growing at nearly 6% every year, employers, employees, and taxpayers will pay for these costs. Employers are in a unique and somewhat desperate position to make a difference in the health economics landscape. They are central to employees’ lives and they have the motivation to avoid the financial pain. 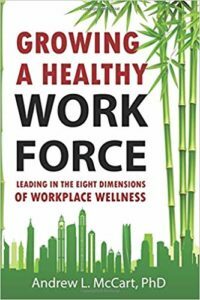 Growing a Healthy Workforce provides organizational leaders with a la carte options as well as an overall plan to reduce their growing health-related costs. Derived from actual employee interviews, employers can learn how employees feel about wellness initiatives. I teach a variety of Taoist practices in group settings that are open to the public. Please check out our events page for a list of upcoming workshops, retreats, and online events. Students can learn practices or philosophy in a private setting. I teach individuals, small groups, or corporate parties chi kung, tai chi, meditation, or philosophy. I practice a number of healing modalities, including Reiki, Chi Nei Tsang (abdominal massage), Acupressure, and Cosmic Healing Chi Kung. I am currently building case studies for Chi Nei Tsang, contact me about free treatments. We offer ways to engage at any level of interest. For instance, we have writings, videos, and workshops for no charge. We also sell short videos, afternoon, and week long workshops. Check out our blog on this site, the YouTube channel through the link below, or click the 'videos' button to learn more. Thank you and have fun! Where are my hands? Where are my feet? Is my awareness floating outside of the present moment? Can the energy I'm unconsciously using in mental processes come back to nourish my body? There are a lot of ways to experience presence. The exercises, philosophies, and meditations we offer are only a few ways that may help you. When we are present and embodied, vital energy supports health and longevity. The ancient Taoist masters, meditating in secret, often in natural settings, hoped to find one willing student. The master could share their knowledge and it would live on. We invite you to join in this process to learn what you like and pass it on.